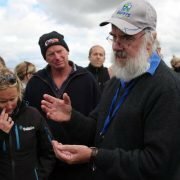 On Friday 9 September 2016 IPM advisors Dr Paul Horne and Angelica Cameron travelled to Tatyoon in western Victoria to hold an advanced discussion and workshop with farmers and agronomists on the topic of how to prepare for the possible loss of seed dressings and other insecticides in the future. This meeting was organised by IPM Technologies and Jayne Drum, on behalf of the Upper Hopkins Land Management Group. The reason for posing these questions is very practical. The group recognises that some of the insecticide products that they currently rely on may stop working (due to resistance) or they may be withdrawn from the market. 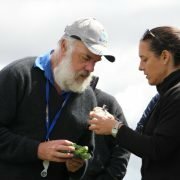 Neonicotinoid insecticides, for example, are under review in the European Union and if they are banned there, Australian regulations could easily follow the same path. Where would that leave producers of crops such as canola and cereals? 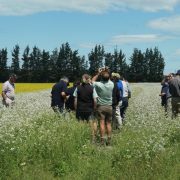 The discussion focused on pest management options, and specifically IPM options, if all current seed dressing insecticides and products such as synthetic pyrethroids were no longer available. 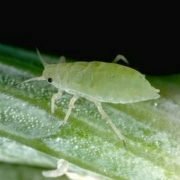 Options could be other insecticides currently used in horticulture, greater use of cultural options (e.g. 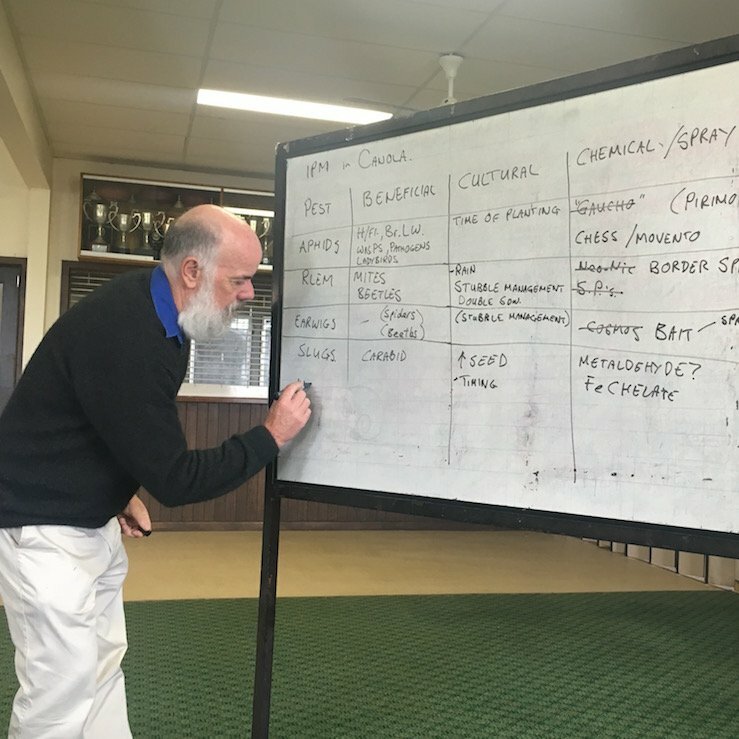 resistant varieties, planting times, stubble and grazing management), and even a review of the pest status of species such as redlegged earth mite in long-term IPM paddocks. The main outcome of this meeting was identifying possible control options that do not currently exist or that are untried. In order to be prepared, this extremely forward-thinking group agreed to test some of these control options and find out for themselves whether they could be viable alternatives in the future, if required. 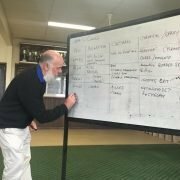 If these questions could be answered then this small group could really provide the future framework for pest management in crops and pastures in Australia, incredibly ahead of any other research and development organization.